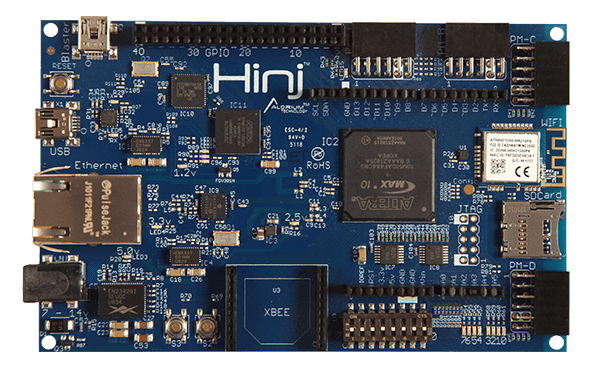 The most versatile, feature-rich FPGA development board for your IoT solution. Snō offers the enhanced performance features of XLR8 – combining FPGA performance with Arduino compatibility – in a compact, ready for integration footprint. 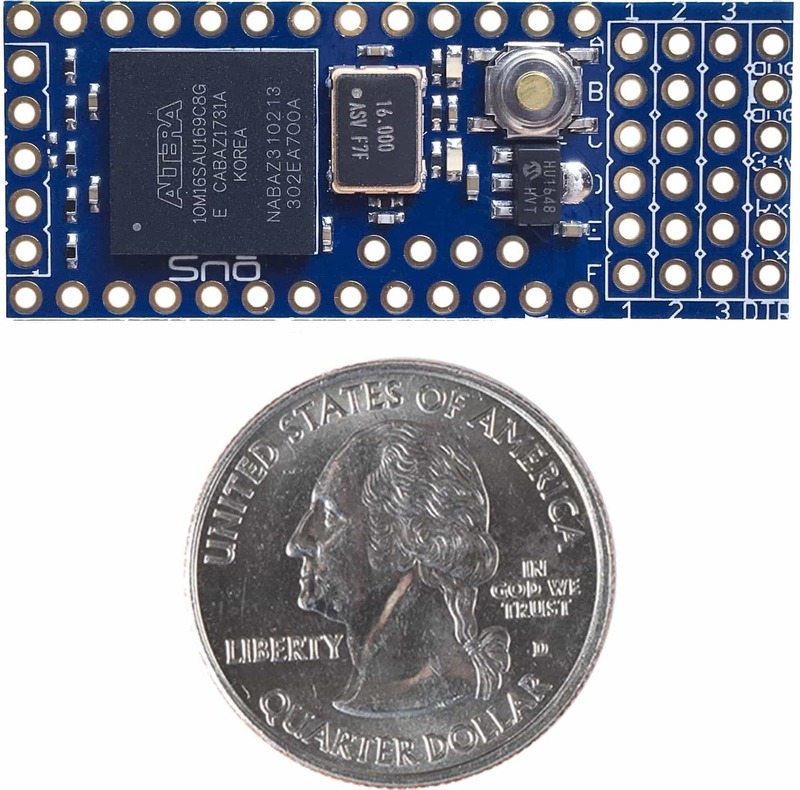 Snō is based on an FPGA with 2X the programmable logic providing even more space for custom hardware functionality! This board makes prototyping with Snō quick and efficient by providing convenient access to signal I/O in the familiar Arduino Uno layout. 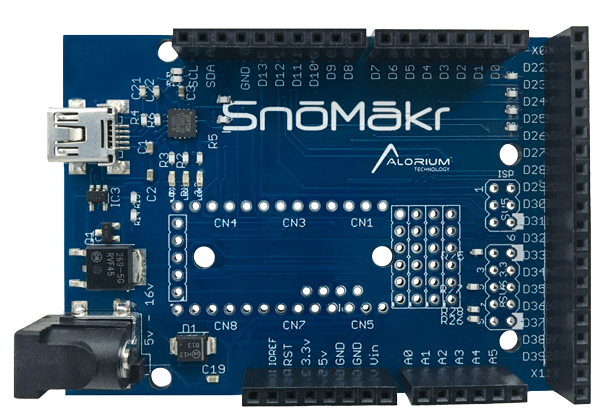 SnōMākr is compatible with 3.3V Arduino shields, and designers can still access the additional 18 Snō digital signal pins when a shield is being used. 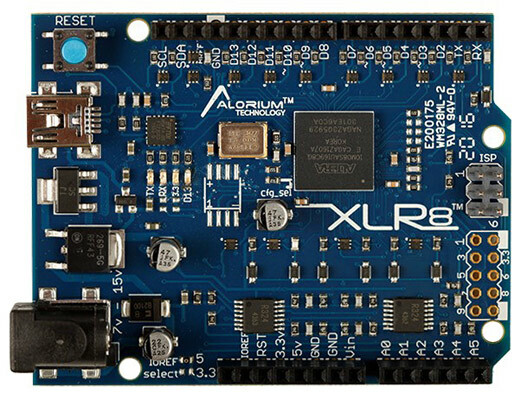 XLR8 is the perfect fusion of FPGA-based speed and performance with Arduino platform familiarity and convenience. It is programmable with the Arduino IDE and compatible with the broad ecosystem of Arduino shields, sensors and accessories. Need something more customized? Our team can assist you with designing a custom FPGA board or module that fits your specific needs, ready for prototyping and product integration.